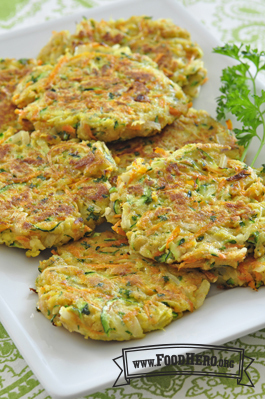 Form vegetable mixture into small flat patties. Heat 1 tablespoon oil in a skillet. Cook patties on both sides over medium heat for about 8 minutes.